I love hanging clothes out to dry -- sheets & linens smell especially nice this way. And it's a nice way to save money & energy, skipping use of the dryer. But people (who shall remain nameless; but they know who they are!) complain when I line dry jeans & towels, complaining that they are too stiff & scratchy when dried this way. I have two ways I cheat and (unless they read this!) the complainers are none the wiser. * hand "fluff" by rubbing each item, relaxing the fibers (just crumple and rub the jeans or towel on itself) and then fold them. 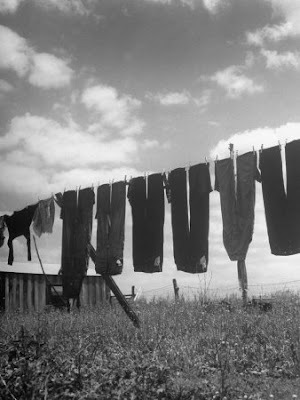 Image credits: Laundry Hanging Out to Dry, photographic print by Nina Leen. From a vintage issue of The Workbasket, the truths about getting fruits from fruit trees: don't get seedlings (unless you can wait years! ), get grafted fruit trees. 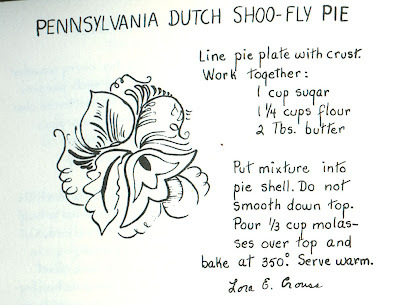 This recipe for Pennsylvania Dutch Shoo-fly pie was found in Pot Luck. 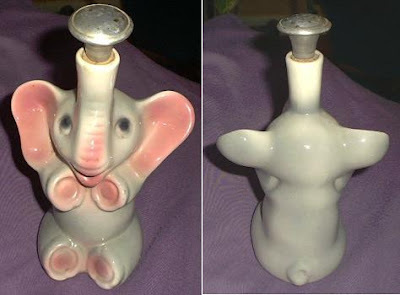 I fell in love with this vintage figural elephant clothes sprinkler bottle, so I looked for other vintage clothes sprinklers (even saved the search at eBay). Such fun ways to keep from being ironing bored! 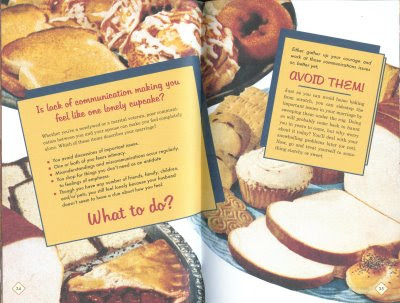 In contrast to the many products inspired by or incorporating vintage & retro images of female domesticity that only really offer humor, Secret Recipes for the Modern Wife: All the Dishes You’ll Need to Make from the Day You Say “I Do” Until Death (or Divorce) Do You Part, by Nava Atlas, offers some wisdom with the chuckles. Read my review here!